In our last article we did explain about the new law on photovoltaic panels which was approved on the October the 18th, in the Spanish Parliament. 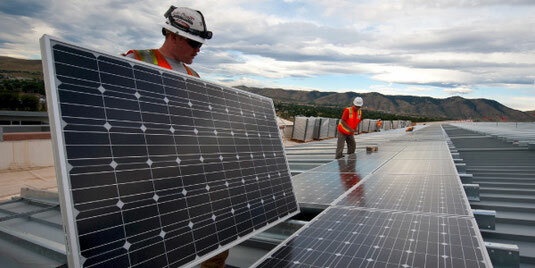 This law eliminates taxes and other important barriers that until then stopped the photovoltaic installations for single or community of owners. 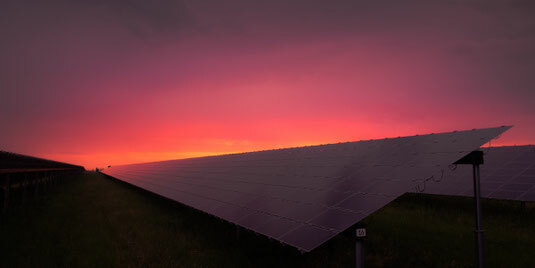 This new scenario, together with the increase in the electricity bill and the publication of the last Intergovernmental Panel on Climate Change (IPCC) report, will encourage, I am sure, many citizens and companies to contribute to improve the energy model with the installation of residential systems and business of photovoltaic self-consumption. Once the decision is made: How to do it? Which company is the most convenient? What guarantees does the installer and manufacturers offer? Do we have references of nearby quality facilities? These are some of the doubts that arise when hiring a photovoltaic self-consumption installation. The industry is prepared, but we must ensure that the market develops based on quality grounds and guarantees that meet our expectations and avoid bad experiences that may generate distrust in this solution. To solve some doubts about the installation of self-consumption, I found this series of tips in the Solarwatt, German manufacturer web page, which I think is quite useful to anyone interested in saving a lot of electricity but having to make an initial investment at the beginning. 1. Request a quote from accredited and certified installers. And if it is possible to have references from previous clients that have carried out photovoltaic installations in the last two years. Getting onto the technical description, the installer should be able to describe the installation in an easy manner without technical gobbledygook and provide a simple installation guide. 2. Require a list of all the elements that you will obtaining with its the technical descriptions of the elements within the system: modules, inverters and other components. 3. Based on the budget, obtain exactly what the production will be in kilowatt hours from the first year. This is a very important fact, because after all it is what we are going to generate with our installation. 4. Ask for information about the radiation in its location, the normal losses of the system and the prediction of degradation of the modules and other elements of the system. 5. Manufacturers normally guarantee photovoltaic panels for 10 years, but it is difficult to claim in some cases after 2 years. Being a very dynamic sector, many important manufacturers have disappeared in recent years and this will continue to happen. There are manufacturers that offer up to 30 years of total guarantee to some PV panels. 6. In the case of accumulation systems, comparisons between the products offered by the market are very complicated because they are often confusing in terms of the benefits in terms of real energy saved. I can say that there are no two lithium-ion battery systems the same. 7. Pay attention to the guarantee documents. Read the fine print and verify who signs that guarantee. That is, knowing who and for how long you will respond if something goes wrong in your system. What is the responsibility of the installer? Also know if the manufacturer of the products has customer service offices in Spain or how many years it has been in the market, because normally the installer will not directly assume the guarantee periods published by the manufacturer. 8. Ensure the knowledge of what will be the generation costs per kWh of the installation. That is the only thing that can be assured. To do this, you have to know all the variables. The first is how safe is your investment; the second, the expected production in kWh in 20 years. I recommend not to speculate with the evolution of electricity prices to "forecast" the amortization period and choose to ensure that the production of your facility is through a system with high quality components and solvent warranty to ensure a cost of competitive and reliable generation. 9. Value in its fair measure the supposed "Tier1 Category" since this only refers to more frequent installed volumes without entering into quality evaluations. There are photovoltaic modules manufactured in China that meet European quality standards, but these are not cheaper than those manufactured in our continent. At present, after the European Commission decided to eliminate anti-dumping controls, modules can be found below their cost price, but with dubious quality and uncertain guarantees. I hope that these tips can serve as a guide when engaging a self-consumption photovoltaic system in your home or business. and not regret having made an unwise decision.